Ruth Gortner Grierson is the weekly nature columnist for the Mount Desert Islander, a weekly newspaper, as well as a freelance nature writer for more than 50 years. 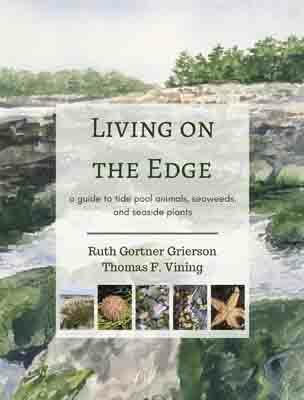 She has authored five natural history books including Wildlife Watching on Mount Desert Island, the home of Acadia National Park. She is a violin/fiddle performer and active participant in musical activities on Mount Desert Island, Maine. Thomas F. Vining has enjoyed a lifelong love of natural history. He is a former seasonal interpretive ranger at Acadia National Park and has earned a botany degree at the University of Maine in Orono. Each book is $26.00. Shipping (via U. S. Postal Service) within the U.S. is $5.00 for one book. Postage for each additional book sent at the same time to the same place is $1.00. Maine residents will be charged 5.5% sales tax. Do you live on Mount Desert Island? You may arrange for a delivery by e-mailing Ruth at teahousetrio@wildblue.net or Tom at info@vfthomas.com. Option 5: For orders of more than two books or for orders to be sent outside the U.S., please e-mail info@vfthomas.com or call 207-266-5748.